What is the character of the Stabyhoun? The Stabyhoun is a "stand-by-me" dog in almost every respect. They are loyal, affectionate dogs who are content when their master is close by and love to be involved in whatever project is being addressed. This "velcro" tendency can make these dogs a bit too much for some owners to handle as the Stabyhoun will follow you everywhere, demanding attention and hating to be left alone. If not dealt with carefully, this tendency can become separation anxiety, so working with any issues early is important. Read more. What is the history of the Stabyhoun? The Stabyhoun originates from Friesland, a province in the northeastern part of the Netherlands. This medium sized breed probably originates from the Spanjoel, or Spaniels, that were brought to the Netherlands during the Spanish Occupation (1568 - 1648). The first written descriptions of the Stabyhoun date back to the early 1800's. Read more. What is the health of the Stabyhoun? 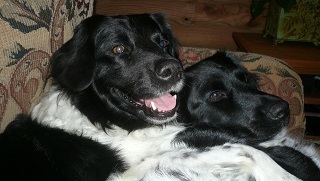 The Stabyhoun, despite its small population, is fortunately a relatively healthy breed. The ASA and its breeders do everything to keep it that way. Nevertheless, we see certain conditions occurring more or less regularly. 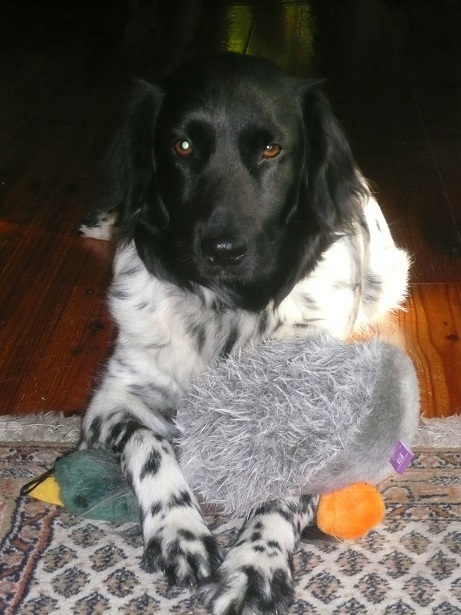 The breeding of the Stabyhoun is aimed at minimizing these health issues. Still we must maintain a balance between losing valuable genetic material and risking a possible health issue with our breeding choices. Here, briefly, are the problems with the Stabyhoun which are known to occur, and how often (or how little) they occur in the population. Read more. At Fryske Point, we believe in breeding only the finest temperaments, as having a best friend and a devoted pet should be the number one goal for any owner. While maintaining and building our lines is an important goal, we take pride in our dogs being intelligent and responsive working dogs as well. We want our dogs to be used in the field, or obedience and agility trials whenever possible, to maintain the original working abilities of the Stabyhoun breed. Temperament is an essential part of this working ability and we start work with our pups from the minute they can walk. From 2 weeks of age, we start to build a strong and confident dog with proper socialization of the litter. Please contact us for further information about Fryske Point.